Tucson is one of the few places in the world where you can find great hiking year round. However the desert floor isn't the most pleasant place to be outside when the temperatures hit the triple digits. 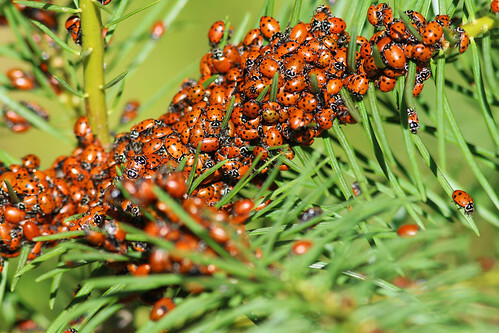 Every year, when the mercury begins to rise, Tucsonans and ladybugs alike flock to the higher elevations to escape the heat. After all, there's a reason why the town at the top of Mount Lemmon is called Summerhaven. Up near the tops of the surrounding mountains, it can be 20-30 degrees cooler than it is down in the city. Just because it's June, doesn't mean that you can't find great hiking in Tucson. You just have to be willing to either get up super early to beat the heat, or take a little drive up to higher altitudes. Starting up near the Palisades Ranger Station in the Santa Catalina mountains, the hike down the Palisades trail can be a great way to beat the heat, as long as you get up there early. Like many hikes at the top of the mountain, the way out is downhill and the ascent is on the return trip. 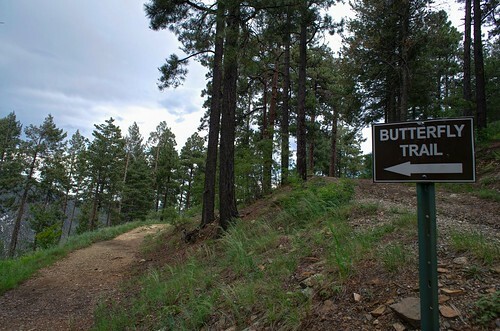 That means that you'll drop out of the cool pines down into the high desert grasslands before doing an about face to head back up the trail. Going down to a lower elevation where it can be warmer and more exposed may not sound like a great idea in the Arizona sun, but the view is totally worth it and the respite of the woodland shade will provide ample motivation for the second half of the hike. The Box Camp Trail is an excellent track to hike in the summer precisely because there are several parts that don't feel at all like you're in Southern Arizona. The trail winds back and forth across a mountain stream, in and out of old and new growth forest alike, and through dense patches of ferns. You'll end up on a rocky hill just below the tree line where you'll be able to see the entirety of the Sabino Basin before trekking back up to the trailhead. There aren't many all day hikes that can be found entirely above 6,000 feet around Tucson, but the loop hike through the Wilderness of Rocks is one of them. 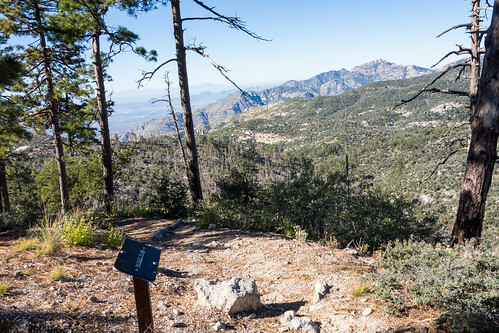 If you're looking to spend a good chunk of time out on the trail when the temperatures are in the triple digits, you can head to the top of the Catalinas where you'll find this wondrous walk. 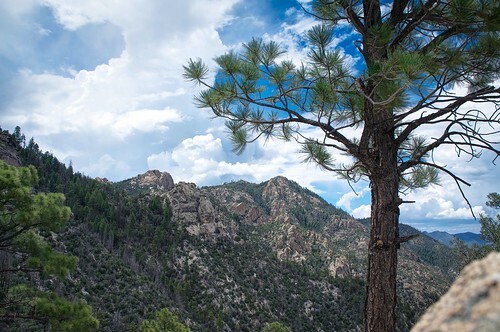 After starting at the very top of Mount Lemmon, where the air is as cool as you're going to find it, you descend through patches of old growth forest and new trees coming back from the 2003 Aspen Fire. Eventually you'll find yourself weaving in and out of boulders stacked atop one another called hoodoos. There is a mountain stream flowing right through the heart of the Wilderness of Rocks which provides a refreshing way to cool off mid-hike. The Wilderness of Rocks is a fascinating area that every Tucson hiker should experience, and it's one of the few hikes that is fantastic all year round. Whereas the Wilderness of Rocks loop mentioned above starts at the top of Mount Lemmon before descending a good ways below, the Meadow Loop keeps you at elevation by letting you do a lap around the summit. This is an excellent hike to do with out of town guests or as just a quick stroll before heading down to Summerhaven for lunch or a cookie. Along the loop, you'll pass through a small mountain meadow, old growth forest, and spectacular open vistas where you can scan the entire mountain range like the spotter in the nearby fire lookout cabin. 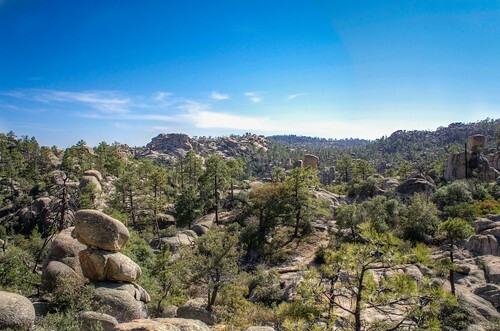 If you're up on Mount Lemmon looking for a nice, easy hike that doesn't require a ton of preparation, look no further. We recommended the Box Camp trail above because some parts don't feel like Tucson in the Summer, but the Aspen Loop earns the number 3 spot on our list because the entire hike feels like you're in a different part of the country. 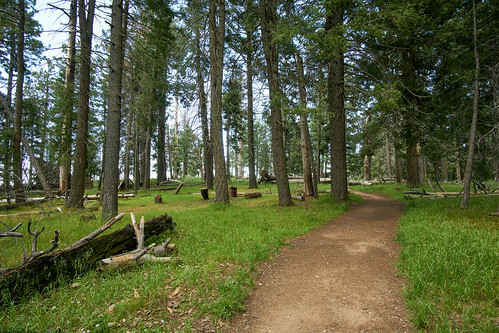 You'll hike through a green tunnel of aspen trees, through patches of ferns, and down along a babbling mountain stream. The trailhead is at the Marshall Gulch picnic area, which can be quite crowded in the summer because it's one of the most beautiful areas in the Santa Catalinas. When it's 100+ outside down in Tucson, the thought of going for a hike can seem scary, but it's not so bad if you can be up at an elevation where it's cooler, in the trees where it's shady, or go downhill only so that you don't exert too much energy. The Green Mountain trail offers that trinity of amazing summer attributes. 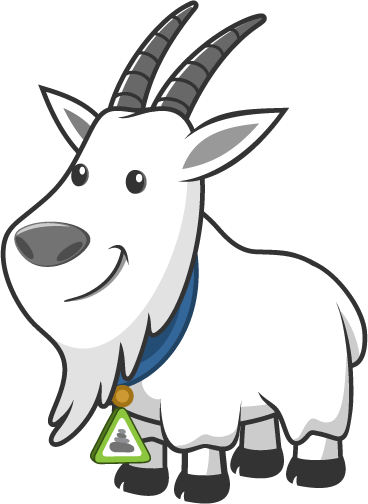 It manages to be all downhill because it's a one-way hike, so you'll need to work out transportation from trailhead to trailhead, but it's well worth it if you can find a ride. While all of the hikes on this list are in the back range of the Santa Catalina Mountains, that isn't the only place to find great hiking in Tucson during the summer months. They just happen to be the hikes that require the fewest caveats. There are certainly many other great hikes that can be done from May through August, but since people die on the trails around the Old Pueblo every year due to the heat, it's extremely important that hikers know what they're getting into and prepare accordingly. For those who are experienced, some other hikes worth considering in the warmer weather include Phoneline, because it can be done almost entirely in the shade of the canyon if you hit the trail early; Mt. Wrightson, because you can be above 9,000 feet where it's not as warm in the middle of the day for lunch; and The Window because it's another hike that allows you to ascend to cooler air while the desert heats up at the base of the mountain. 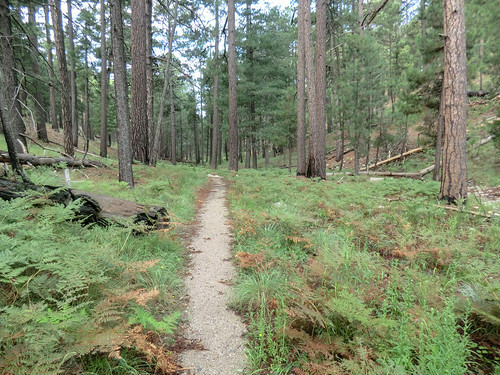 Like Green Mountain, the Butterfly Loop is on the North slope of the Santa Catalina mountains, which means it tends to be cooler and more green because it doesn't get as much of the harsh direct sun that most of the other trails receive. 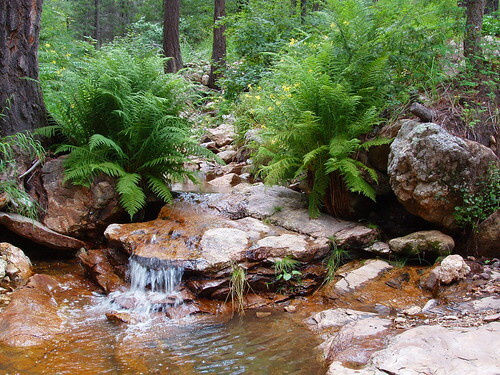 When you add in the huge ferns, the giant trees, the natural spring feeding a small waterfall, amazing views of the San Pedro River Valley, and an old Air Force jet crash all onto a loop hike, you end up with one of the most amazing mountain respites a hiker could hope for to beat the Arizona heat. Do you agree with our list or did we miss a hike? What is your favorite hike to do during the summer in Tucson? We'd love to hear your thoughts in the comments.